Have you already started using the New Rupee Symbol? – most probably not. The computer keyboards are not yet equipped for that. But there is an alternative way you can use it in documents and spreadsheets. Download this font developed by Foradian Technologies and once installed, you can use the “`” key above tab button on your keyboard and you will see the Rupee symbol appear on your document. Additionally, Indian Government is proposing an Unicode Character U+0971 to be assigned to Rupee Symbol. However, getting the Unicode to be a standard Character set is sure to take some time (if at all it does). If that is done, you will be able to type Rupee symbol character as easily as a $ (US Dollar) symbol. There is also an excellent presentation on Design philosophy and its uses, created by he man behind this Rupee symbol – D Udaya Kumar. I think you must see this if you have already not. 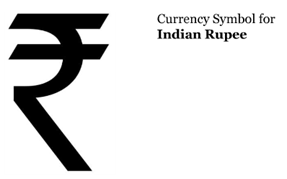 New Rupee Symbol announced among Controversy! RTI (Right To Information) had already exposed that he is Non-eligible candidate for Indian Rupee Symbol Design Competition as he had violated the Indian Rupee Symbol Design competition guidelines . According to guidelines one candidate could send maximum two design entries but he had submitted a total of four designs. Second violation of guideline is the symbol itself, as it’s not applicable to standard keyboard or Unicode enable. But using roman script/English alphabet in designing the New Indian rupee symbol is also a violation of guideline according to the guideline “The symbol had to be in the Indian National Language Script”. But according to National language Script English is not included in that list till this date. Why did Finance Ministry put the guidelines in the first place when they would not follow it themselves or probably they were created only to be broken? This clearly showcases the biased attitude towards rest of the contestants who had participated in the Indian Rupee Symbol Design Competition. About symbol “reflects and captures Indian ethos and culture”. But — On the final day of presentation of top five finalists one jury member from the ministry of culture was not present. It is also known that she had been irresponsible skipped two, meetings previously in same regard. Media for the first time in the history of India has gone into a mysterious silence over the fraud played by the organisers of symbol for rupee competition . In the past the same media specially electronic media has entered the bedrooms of the people to expose them and bring infront of the world and played the news 24×7 and this time when the things are crystal clear before them they have gone into the shell.